Every family, regardless of age or income level, can benefit from having an Estate Plan that includes wills, trusts and advance directives. This is especially true for young families with children. Planning ahead and being prepared is one of the most important ways to care for your loved ones. The Judy-Ann Smith Law Firm, P.A. in Jacksonville is offering a free introductory seminar on Basic Estate Planning on Tuesday, March 20, starting at 6 p.m. The seminar will take place at the firm’s offices at 1301 Riverplace Drive, Suite 800, in Jacksonville. Attorneys Judy-Ann Smith and Justin T. Suss will review the basics of estate planning, including why it is important for every family, and what the advantages may be. The attorneys specialize in probate, estate planning, Medicare, Social Security and related areas of practice. The seminar will provide attendees with an overview of the benefits of estate planning. 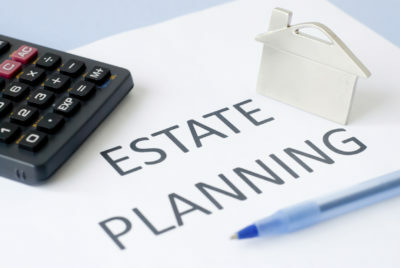 The attorneys will also review the basics of an Estate Plan, such as creating a will, selecting beneficiaries, setting up a trust, and advance directives. The Wills and Trusts seminar is free and open to the public, but seating is limited, and registration is required. Please RSVP at 904.562.1369 or Email leslie@jasmithlawfirm.com. The Judy-Ann Smith Law Firm, P.A. in Jacksonville, Florida provides personalized legal services to meet the needs and goals of individuals and families. The firm is located at 1301 Riverplace Blvd., Suite 800, Jacksonville, Florida 32207. Areas of practice include family law, divorce, estate planning, elder law, special needs trusts, and probate. For more information, call 904.562.1369 or visit JASmithLawFirm.com. Tags: · Estate Planning · JA Smith Law Firm · Judy-Ann Smith Law Firm · Justin T. Suss · P.A. I’ve recently been interested in adding probate deals to my business marketing campaigns so I will definitely be attending this workshop, thank for the heads up!